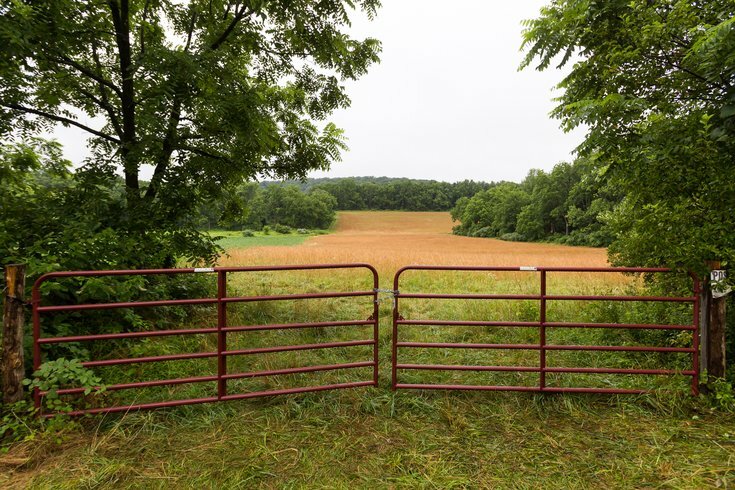 Part of the 80-acre DiNardo family farm can be seen off Upper Mountain Road, near Lower York Road, in Solebury Township on Friday, July 14, 2017. Violent crime is rare in this corner of the Philadelphia countryside. The brutal murders of four young men in Bucks County, a national story that gripped the Philadelphia region in 2017, will be the subject of a true crime special on Investigation Discovery early next year. Set to premiere in Jan. 2020, "The Lost Boys of Bucks County" examines the disappearance and multu-day search for the missing victims in Solebury Township in July 2017. Their bodies were eventually found buried on a sprawling farm property belonging to the family of 22-year-old Cosmo DiNardo, who pleaded guilty to the murders and will spend the rest of his life in prison. The victims were identified as 19-year-old Jimi Patrick, 21-year-old Tom Meo, 19-year-old Dean Finocchiaro and 22-year-old Mark Sturgis. The disappearance of the fifth young man mentioned in the blurb was determined to be unrelated to the Solebury case. Investigators found three of the victims' bodies burned and buried in a common grave using heavy equipment. The body of Jimi Patrick was later found buried in a separate part of the property, where all of the victims had been lured under the guise of marijuana deals. Also charged in three of the murders is 22-year-old Sean Kratz, a cousin of Cosmo DiNardo's from Northeast Philadelphia. Kratz rejected a plea deal on third-degree homicide charges last year, despite a recorded confession during plea negotiations, and is expected to stand trial this spring. Freer, a member of the Middletown Township Police Department, used her connections in the community to help identify the farm where the bodies were eventually found. She received an Award of Valor at the National Liberty Museum in Philadelphia for her role in solving the case. Investigation Discovery said the "The Lost Boys of Bucks County" will be a two-hour special.